We’re happy to announce our latest project, for the newly-opened Postal Museum in Clerkenwell! The new museum opened late July, and included a new Discovery Room, a brilliant public space where you can access archival objects directly, upon request. We were tasked with making the first instalment of an interactive table to help people browse around the collections, and hopefully be prompted to ask an archivist a question, or delve a little deeper. Part of the new building is this new public space you can visit, and ask to see original materials (as well as browse the digital collection and use our swanky new touch table). You need to allow a bit of time for things to be retrieved from the stores, but, why not give it a try? It’s upstairs on the first floor, and free! The Postal Museum has a huge trove of all sorts of visual materials, from the obvious philately collections, to letters, to maps, to posters, to photography. For this first stage, they wanted us to show the core collection of the museum, the R. M. Phillips Collection (which tracks the history of the UK postage stamp in unparalleled and thorough detail), and a selection of Post Office: Photograph Library, mostly around post and war, but with some vehicles and interiors too. We’ve tried to keep in mind that it would be nice to incorporate more collections over time too, once the new building has settled in a bit. We used a metadata export from the museum’s CALM database, served up images using IIIF, served with Cantaloupe, through a Ruby app. I’ve done a bad job of getting nice images of the actual UI, so will endeavour to update this post with some once I have my act together! We knew we wanted to take full advantage of the affordances of a lovely big screen and simple touch gestures. Rather than crowding the interface with lots of niggly controls, we wanted the brilliant imagery to take centre stage. Even as we were getting to know the R. M. Phillips Collection, we just kept zooming in all the time to see the lovely details, so wanted to help others do that too. This was our first collaboration with Buckley Williams, and we sincerely hope it wasn’t the last! Thank you, Nat & Dan. A favourite part of the collaboration (apart from the consistently snappy outfits and extreme talent) was our placeholder image, which we used on the table so we could proceed with the UI as we loaded all the whopper images… it’s one of those ones that you know won’t slip through. As you may be aware, we try to always look for small utilities we think other people might be able to use, like the marcxml-to-postgres slurper, or the dimension-drawer, and we’ve found another one, called DateRanger. Nat has posted separately about this, so if you’re interested in why the heck dates are so hard in cultural collections, maybe head over there for a look. This is a post by Nat Buckley, of Buckley Williams, our recent collaborators on the new Postal Museum Touch Table project. As humans we find it easy to quickly read a variety of date formats and almost instantly understand what they represent. We can glance at dates written as “23rd Jan 1894”, “Jan-Mar 1856”, “c. 1960” or “1945-1949” and we know how big the date range is and how accurate it might be. These are just a few examples of dates formats we found in the Postal Museum collections. To work with those dates effectively in our software we needed to find a way to parse them and represent them in a single format. There are many software libraries designed for translating between standardised date formats (eg. ones used by different countries), but parsing formats commonly used in archives is a slightly less popular problem to solve. Archives tend not to have an enforced, fixed way of writing down dates, so there can be a surprising variety of notations. This isn’t a bad thing — it gives the archivists the flexibility they need to represent their knowledge about the objects under their care. Each collection might have its own quirks. Some smaller software libraries do take on a challenge of parsing dates from more natural, human-readable formats, but we decided to devise our own way. We had a very specific set of formats and couldn’t find an existing solution that could deal with all of them easily. I wrote DateRanger, a Ruby library which takes in those formats and translates them into a data structure which represents the start and end of the date range. It makes it straightforward to understand the accuracy of the date — the wider the range, the less accurate or specific the date was to begin with. We’d love to see contributions from anyone interested in expanding how many formats DateRanger can work with. I used automated tests to build up the code in stages, starting from parsing really simple dates, and culminating at testing even obscure format combinations that we didn’t quite encounter in our data sample. The tests-first approach meant I managed to notice and catch some pretty confusing bugs really early on. We used DateRanger on the Postal Museum touch table, to help us determine where on the timeline to place the collection records. We did, however, use the original date formats from the archive to display to the viewer. After all, those are already perfectly human-readable. 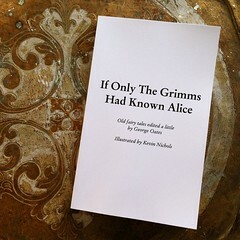 You might like to read If Only The Grimms Had Known Alice, a beautifully illustrated book of fairy tales rewritten to include female characters. Launched December 1, 2014. 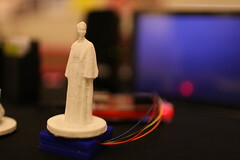 A heady combination of 3D printing, connected objects, interaction design, and fun, Museum in a Box, is an edtech startup helping museums get their objects out of the dark and back into people's hands. Incorporated October 2015.